Do you remember these country school girls from the 1930's? 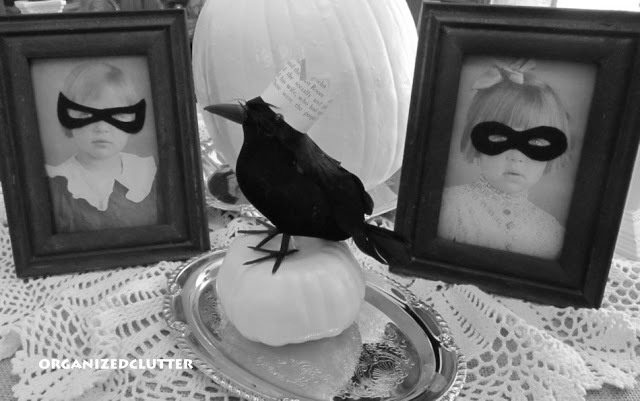 They first appeared on my blog in 2012 with Halloween masks and black crows. I am in the process of creating a gallery wall in my hallway with rustic and unique photo holders and displays instead of frames. Today, the little schoolgirls, Darlene and Phyllis, also known as Mom and Aunt Phyllis, will be getting a new photo holder from this hunk of barn wood I got from my Junkin' Friend Jodi! I removed the clips from two old clipboards. This one was easy to remove because I hated the laminate but I did have to ruin a brown hardboard clipboard too to make my projects. I really hated to do it. Once the clips were removed from the old clipboards, and the board was sawed in half, the clips were screwed into the top part of each board. Three inch strap hinges were screwed into the bottom part of the boards, purely for rustic decoration. When the barn wood clipboards were finished, I added saw tooth type hangers to the backs for hanging. Then I just clipped the photos to the barn wood clipboards and hung them up. I only have four rustic photo holders completed for my gallery wall, but I will give you a sneak peek soon! Love this idea.......waiting to see more!! So creative ... love the photos. Can't wait to see your gallery wall. 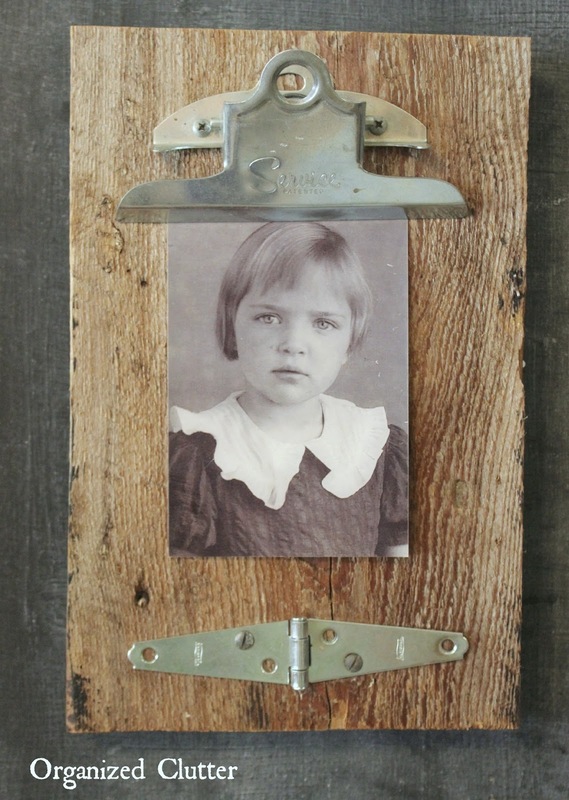 I love how you turned the old barn wood into a photo holder with the clip and the hinge, really cute! 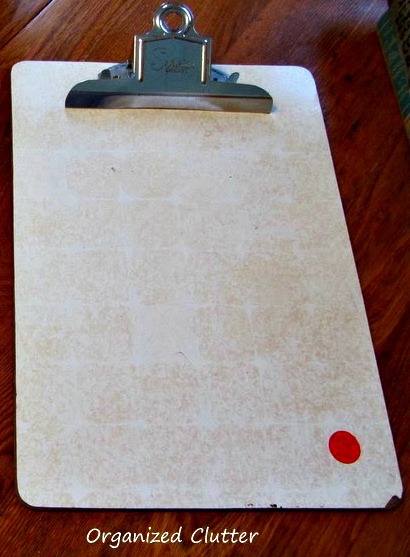 Maybe you could make a chalkboard out of the clip-less clipboard.